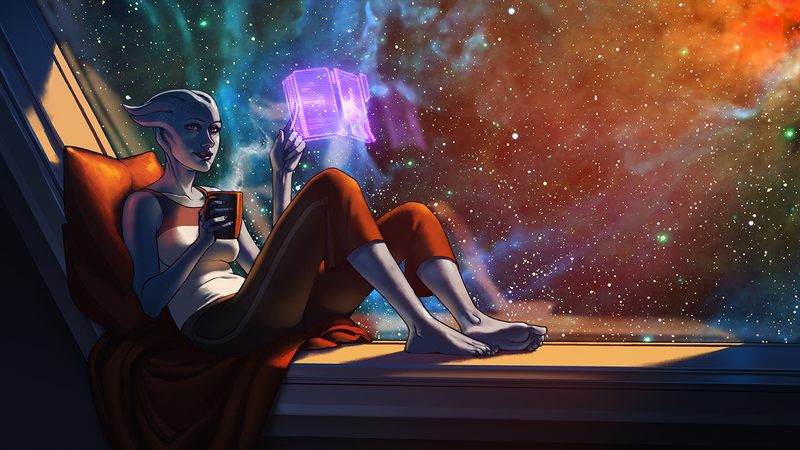 A late farewell to Mass Effect. Just wanted to give my favorite character a moment of peace. I hope mass effect will still creep into your sketches every now and then! It's so nice to see Liara in a casual, relaxed scene, just being herself. Thanks for sharing! I do miss Mass Effect sometimes. The ending just kinda took out the fun of a replay but hey! Mass Effect...whatever they call it! I write for ImagineFX magazine and would like to speak to you for a feature I'm writing.